Many women in remote places work manual labor jobs since their childhood to provide for their families. Saci’s life was not easy. As a girl, she forwent an education in order to work alongside her parents as a laborer in the tea gardens. With the little money she earned, she helped ease the financial burden of her parents. Saci eventually married and had four daughters, but her struggles just increased. Her husband abused her, often coming home drunk and picking fights with Saci. Then, one day, he left the village to start a new life with another woman, abandoning Saci and their four children. After her husband left, Saci lived with the shame widows often bear in her region. Many women in remote places are seen as the cause of their own misfortune, and they are ostracized from society. The added responsibility of caring for their four daughters by herself rested heavily on her shoulders. 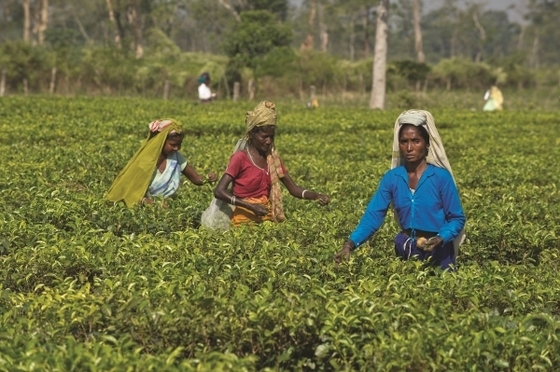 She worked hard in the tea gardens to provide for her and her daughters because there was no one else to take care of them. The community did not show any compassion for her difficult situation. In Saci’s village lived another widow, Latha, a GFA-supported worker. Latha would often visit Saci to support and encourage the abandoned woman. Although Saci welcomed Latha into her home, she was not interested in hearing about the One Latha served. Saci was devout in her traditional religious practices. But one day, something changed. Saci’s sister-in-law was afflicted by an evil spirit. She heard strange whispers in her ears and became very distraught. Latha heard about the girl’s distress and went to pray for her relief. After Latha prayed in Jesus’ name, the troubled girl was delivered from the evil spirit. Saci knew that it was the power of Jesus that helped her sister-in-law—and something shifted inside her. Shortly after that, Saci got sick, and she immediately went to Sister Latha to share about her illness. Latha encouraged her friend to trust Jesus to heal her. Saci’s faith grew little by little. As the believers prayed for Saci’s health, she felt a peace that had never been there before. Her heart was comforted as she experienced the care and concern of these followers of Jesus. She was blessed even further at a gift distribution organized by the local church where she received a cow, which eased her financial burden. Fellowship with believers at a local church builds up and strengthens struggling people like Saci (not shown). Saci, now healed in body and spirit, attends services regularly at the local church and tithes a portion of the milk she receives from her cow. She has embraced the love of Jesus and publicly testified of her faith. 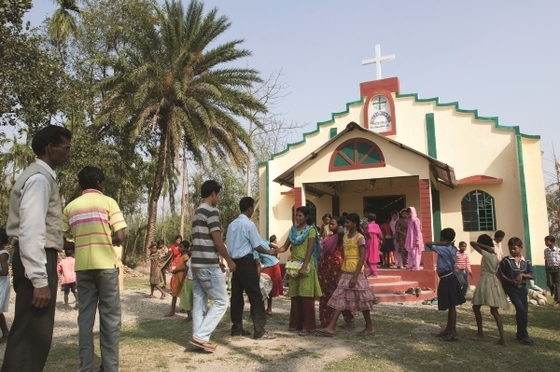 The love of Jesus, which was so tangibly displayed through the prayers of Sister Latha and the local church, has given Saci’s life new hope and purpose.